KJ -- still only 42. HE wasn’t widely known in the first few years he was back to settle down in the country after being away for a big part of his life but by the time Khairy Jamaluddin Abu Bakar was an officer serving the then prime minister, almost the whole country began to notice. That he was also married to the prime minister’s daughter made him to be perceived to be the country’s most powerful young man. Mind you, he wasn’t even 30 and held no political post of any significance. But this was a young man who everyone wanted to know and better still, to be accepted into his inner circle. It must have been inflating to the go, many times over. He’s still only 42. 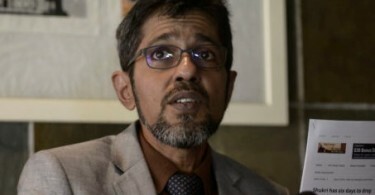 Talk was that he was that the Oxford graduate popularly known as KJ was asked to stay out of political office and not given any significant appointment when Datuk Seri Najib Razak became prime minister in 2009, simply to check current prime minister Tun Dr. Mahathir Mohamad from sniping away the way he did when Khairy’s father-in-law Tun Abdullah Ahmad Badawi was the prime minister. To further appease Mahathir, Najib made Mahathir’s son Mukhriz Kedah mentri besar in 2013, softening the blow when KJ was made a federal minister, also in 2013. 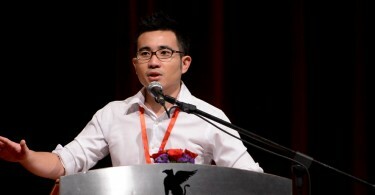 Mukhriz incidentally was defeated by KJ in the contest for Umno Youth leader in 2009. KJ sounded different even from those early days and came to be known as the politician with a liberal mind, one who believed in press freedom, personal liberty and freedom of expression. You could see that he was one person Mahathir could never like and remains that way till now. Maybe for that reason KJ spoke favourably of the Umno that was the dominant ruling party until last May 9 and also of party leader and then PM Najib. May 9 and the disastrous defeat of BN by the Pakatan Harapan coalition chaired by Mahathir changed all that, with KJ sounding more and more like the thorn in the flesh, despite having been in Umno’s top echelon. Even the campaign to raise money for Najib to post bail as imposed by the court became an issue to be picked on, although those behind the campaign said they were doing it only because the bank accounts of Najib and his family were frozen. IS KJ truly different from the rest of Umno or other politicians for that matter? I was reminded of two instances which showed that he wasn’t. First were the appointments of four or five new members to the board of the Malaysia Stadium Corporation, one of his earliest moves on being made Youth and Sports Minister. Those appointed were either known to be his friends or linked to him via Umno Youth. The second that happened during the SEA Games in August last year was truly damning – all because KJ took offence to news reports and commentaries that highlighted various flaws or shortcomings with the organisational aspects. There was a phone message that clearly accused a journalist of intentionally looking for negative news and what sources described as a best forgotten phone call to a newspaper owner during which KJ was said to have shouted into the man’s ear! In between there were messages from ministry officials asking the press not to report anything negative. The situation became so bad that Malay Mail sports editor Graig Martyn Nunis decided to take the rap and to throw in the towel to save others under him their jobs. As a man well exposed to Western democracies and someone educated in an Ivy League university, KJ must surely be aware that there is something called limits, be that in politics. government and sports. While Umno’s mindset looks to be slow to change and looks doubtful about its ability to institute reforms and rebranding, there must be enough heads in its governing body who are open to different ideas, especially if it’s done discreetly. Hence a better way would be for KJ to write to members of the Umno supreme council each time he disagrees with the party line or thinks that the antics or comments by some members are only hurting the party more. In the last few weeks KJ has maintained that he would not quit Umno and would stay to repair his house (from within). He also stated earlier that Abdullah or Pak Lah would slap him on the face if ever he left Umno. Everything he has said and done in recent days nevertheless suggest that he’s looking for the sack and that would save him some pain on the cheek.